My book has been published. It is available on ebook in Kindle/Nook and also hard copy. I truly believe that Sam had a hand in this being published and thought if I believed that, I should be offering it on our blog. If you would like a signed copy, send a payment of 12.50 to my paypal address (swampfaye at yahoo dot com) with a note that it is for “Martian Goods”. If you’d like it personalized, just let me know. I have a limited amount of copies at the moment, so order yours first! 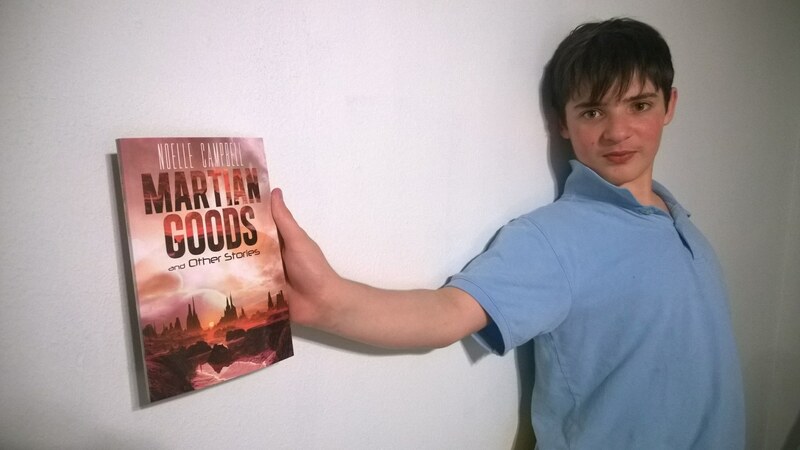 My handsome son, and the Hobbit’s favorite boy, holding a copy of my book.